The DC Comics VInimates line keeps going with another assortment of the DCU's greatest heroes and villains! 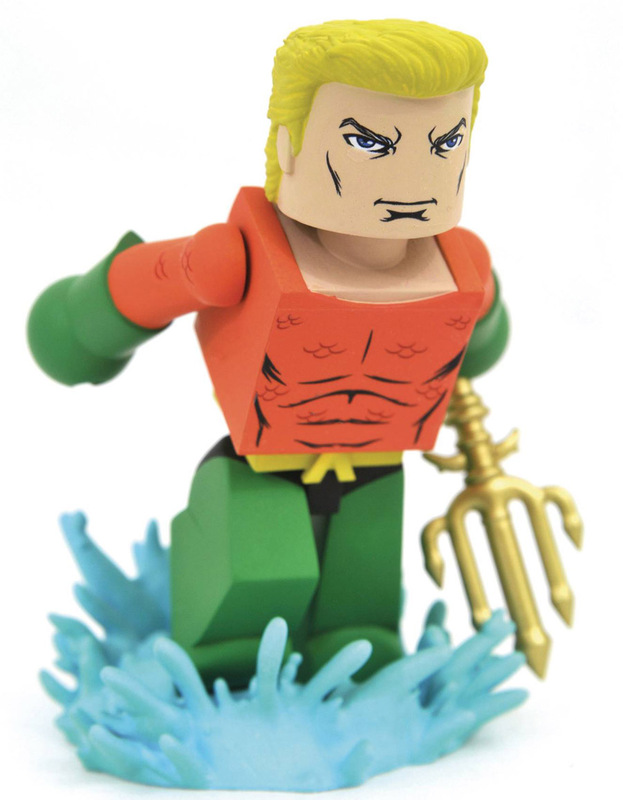 This new batch includes Justice League member Aquaman in his classic costume, Shazam! in his modern garb, and the ruler of Apokolips - Darkseid! Each 4-inch vinyl figure is sculpted in the Miniamtes block-figure style, striking a pose straight from the comics, and comes packaged in a full-color window box.